A while back we had reported that the Rajinikanth – Akshay Kumar starrer 2.0 had been delayed. In fact, we had reported that owing to the heavy VFX work on the film, the post production took longer than expected thus forcing the makers to postpone the release of the film. However, at that time there was no official confirmation on the same. Now we hear that the film which was slated to clash with the other Akshay Kumar starrer Gold on August 15 has been shifted yet again and will release only next year in 2019. If what we hear is anything to go by then apparently despite working overtime, the VFX of the film is still incomplete with certain major portions still left to render. Given this fact the makers of 2.0 have now decided to push the release of the film to next year itself. 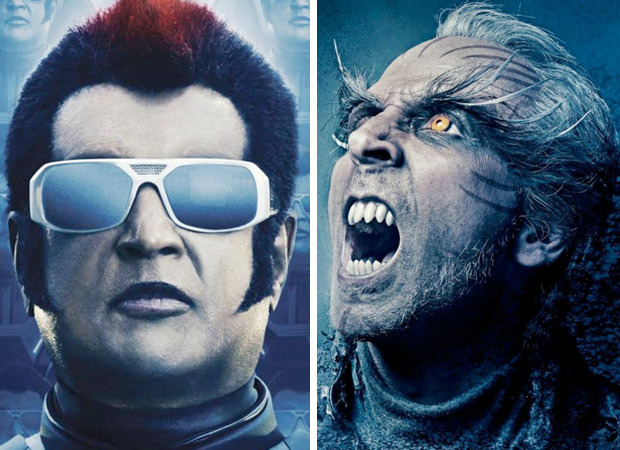 When prodded for more details on the same, the source further adds, “By this year end, the makers of 2.0 are look at completing majority of the VFX work but this constant delayed has created yet another problem and this time it is the budget that has gone haywire.” Apparently, the constant delays in the release of 2.0 have now had an adverse effect on the film’s budget that has kept on increasing. As of now the producers and partners on the film are working out possible solutions to find fresh funding to help promote the film. Also Read: Is Rajinikanth, Akshay Kumar starrer 2.0 about mobile addiction? Akshay Kumar Starrer Jolly LLB 2’s Trailer Release Date Out! Release of Akshay Kumar starrer Crack delayed? Release of Akshay Kumar starrer PadMan locked for 2018 Republic Day weekend? Akshay Kumar starrer Padman to now release on January 26, 2018? Rajinikanth – Akshay Kumar starrer 2.0 to clash with either Gold or Thugs of Hindostan? SCOOP: Akshay Kumar starrer Gold to miss release date of August 15? BREAKING: Akshay Kumar to take over Bigg Boss from Salman Khan?